This is one of my favorite layouts for several reasons. 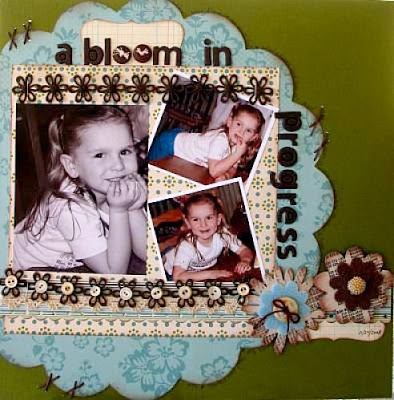 This layout shows just how pretty my granddaughter is and it has some vintage buttons on it and it is the first layout that has been published. I worked so hard on getting everything just right-I love that process!!! I hope you are inspired and have a great day!!! !